And as your business grows, you have increased needs for financial reporting. You need to know where your business stands financially before you can make informed decisions. There is a solution. 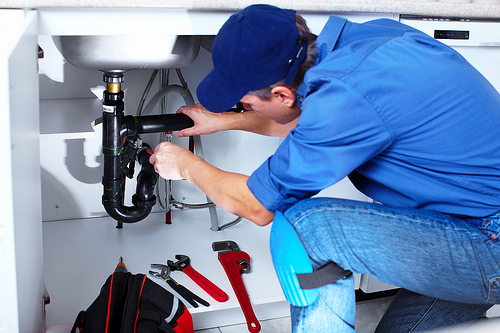 Field service management software has revolutionized the entire home services business within the last three years. Field service management software totally streamlines your business, makes you and your employees far more efficient, you reduce paperwork and duplication of documents, and because you are now more efficient when you use field service management software, you make more money. So what do you do? Which field service management system are you going to choose? There are hundreds of them out there. All of them promise you that they’ll do everything for you. But most can’t deliver on that promise. But if you follow these tips for scaling a home services company, you can grow your business like never before. The first thing to do when scaling a home services company is to automate your Scheduling and Dispatch functions. Do away with paper scheduling and dispatching. Consider a program like FieldSurf. FieldSurf, the best field service management system of the market today, totally automates your Scheduling and Dispatch functions. And when you automate these functions, you eliminate errors, you eliminate double-booking, and you always know where all your techs are at all times. FieldSurf’s GPs mapping instantly shows your dispatcher/s exactly where everyone is, when they’ve arrived at a customer’s location, whether the job has been successfully completed, whether the invoice has been sent, and whether he is still at the customer’s location or if he has left the premises. Next, you must automate your accounting department. This is a key to scaling a home services company. FieldSurf gives you total control of your accounting function. On demand and in real time, FieldSurf gives you instant information about every aspect of your financials. You can access FieldSurf to tell you what your sales are for any period, and then compare those figures to sales for any previous period. If you don’t have this program, you have to request reports from your accounting people, they have to generate those reports – which can take hours or even days – then you have to sit through endless meetings to listen to these reports. With FieldSurf, your accounting department can generate those reports instantly. And you can access them too. From any desktop computer, any tablet computer and even a smartphone. With FireldSurf, you can instantly tell which of your accounts are unpaid, and even which accounts are past due. FieldSurf generates these reports in real time, so you always know exactly where you stand at any time. Once you’ve automated your accounting department, you will need to automate your payroll functions. Once again, FieldSurf handles this for you. You don’t need another program. Your field technicians use FieldSurf to clock in — when they check in at the beginning of the day, at each location where they do work, and they also use it to clock out from each job location and then to finally clock out at the end of the workday. So hours worked by everyone are automatically calculated. And can be instantly accessed by you or your accounting department. FieldSurf allows very little room for fraud: your technicians’ hours are all publicly tracked by the system, and they cannot be altered by a technician. FieldSurf also prevents your technicians from altering an invoice or Work Order after a job has been completed and the Invoice has been submitted to the customer. Once you have automated your accounting department and your payroll function, you are well on the way to scaling a home services company. There’s one more way you can scale your home services company. And that’s with FieldSurf’s ability to track your Inventory. Very few field service programs enable you to control your Inventory. FieldSurf has this feature as an Enterprise option. 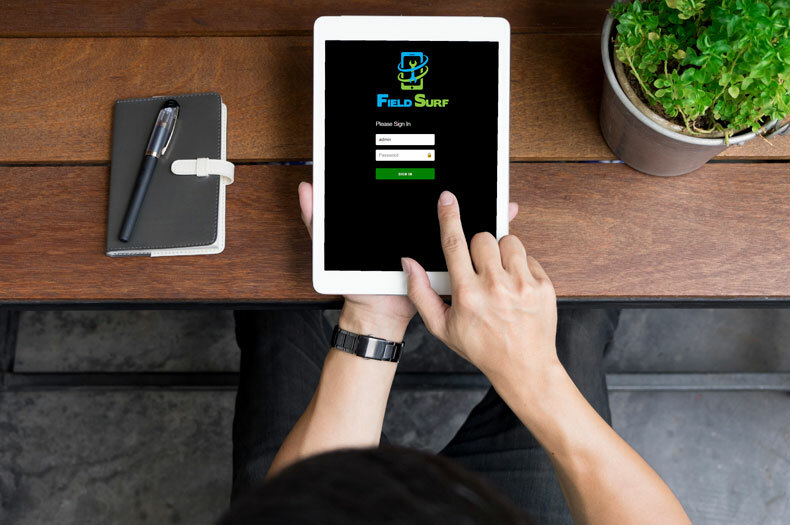 Owners of service companies who have a lot of Inventory on hand are using FieldSurf to track their Inventory at every stage. When product comes in to your warehouse, each product’s barcode is scanned into FieldSurf. If a technician takes an item out of the warehouse and places it in his vehicle, FieldSurf records that. When your technician sells an item, FieldSurf instantly deducts that item from the inventory. So with FieldSurf you always know exactly how much Inventory you have on hand, how much inventory each technician has, when you make a sale, and when you need to reorder. Running out of Inventory is a pity – you may lose the sale or have to buy an item at a much higher price than you would normally pay if you didn’t need to order in a hurry. FieldSurf’s inventory control feature also helps you make sure you don’t tie up too much money in inventory just sits there. Once you have automated every function of your business into a single service management program like FieldSurf, your business will change: your employees will all be happier, their jobs will be made easier, you eliminate paperwork, and you end up making more money. FieldSurf is the only program you need for scaling a home services company. Give FieldSurf a call and let them show you how to bring your service business into the 21st century.